Before you get your swatter out ….. 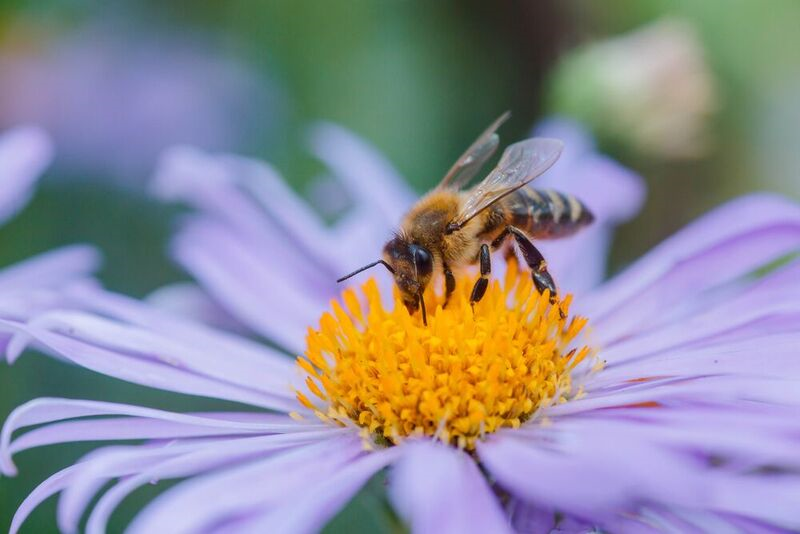 Autumn is an essential time of year for honeybees. The worker bees are out collecting nectar for long hours to ensure enough supplies to feed and maintain their colony through the winter months. That’s why you are going to see lots over the next few weeks, especially around asters, golden rod, chrysanthemums and Russian sage. The nectar and pollen they collect provide life-saving carbohydrates and proteins. Beekeepers sometimes have to supplement the colonies in their hives with sugary substances during winter but solitary bees are left to their own devices. So please be sure to leave them bee. Drone bees are a little larger than honey bees and are unlikely to be seen at this time of year. They never collect food and their sole purpose is to mate with the Queen. Golden brown to almost black in colour, Honey Bees are small and are often seen collecting pollen together or swarming on walls and between shutters and windows, basically anywhere that is warm and dry. If you don’t disturb them they will not harm you. 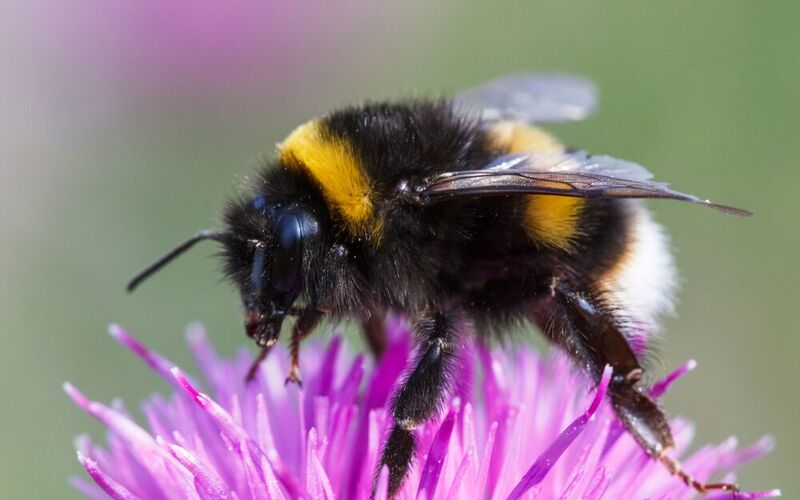 Bumblebees have more fur and are rounder and larger than a honey bee. They have a number of different coloured stripes on the end of their tails. They are great pollinators so please leave their nests alone. Solitary, wild bees will be seen emerging out of a wall or tiny holes in the ground. Again, they are good pollinators and, because they pose no threat to humans or animals, should be left alone to collect as much food as they can. Most Mairie Offices will be able to put you in touch with a beekeeper.